This flimsy was finished Sept 30, 2013. I was in need of some sample quilts for a demo I was doing for our guild’s quilt show and so I decided now was the time to quilt this. I quilted this one with the Circle Lord Swirls design as I think it makes one of the most durable quilts. 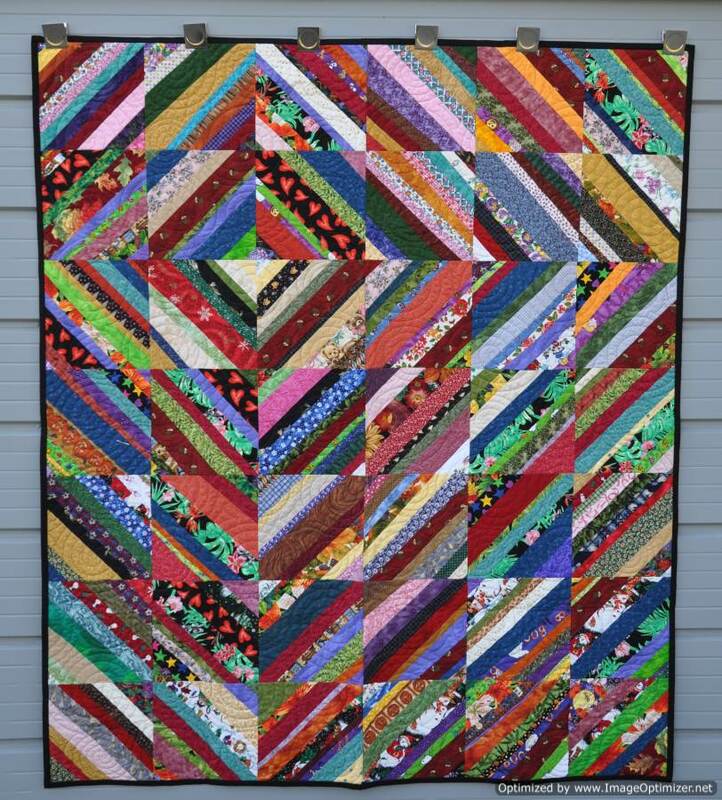 The stitching lines are close enough together to provide dense enough quilting to make the quilt durable for multiple washes without such dense quilting as to make it stiff like a board. A while ago I told my kids to let me know what quilt tops they liked and would eventually like to have as finished quilts. This was a top that my son picked out so I have named it, Matt’s Strings. One day when I have finished using it as a demo quilt, I will gift it to him as he put his name on it. 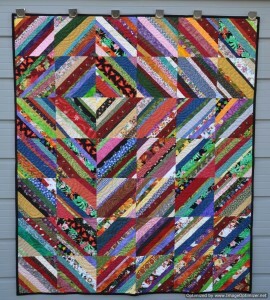 This quilt finishes at 54.5″ x 63.5″.